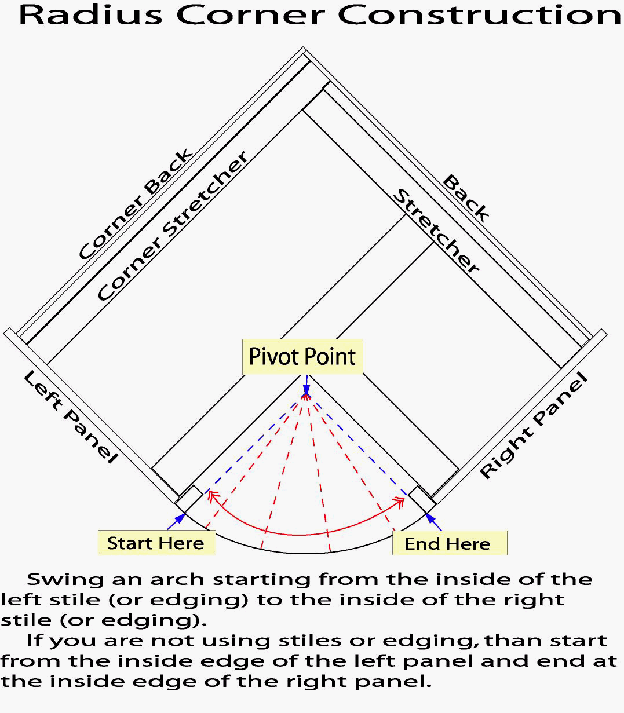 When building angle corner cabinets, you will need to construct your pieces similar to the diagram below. 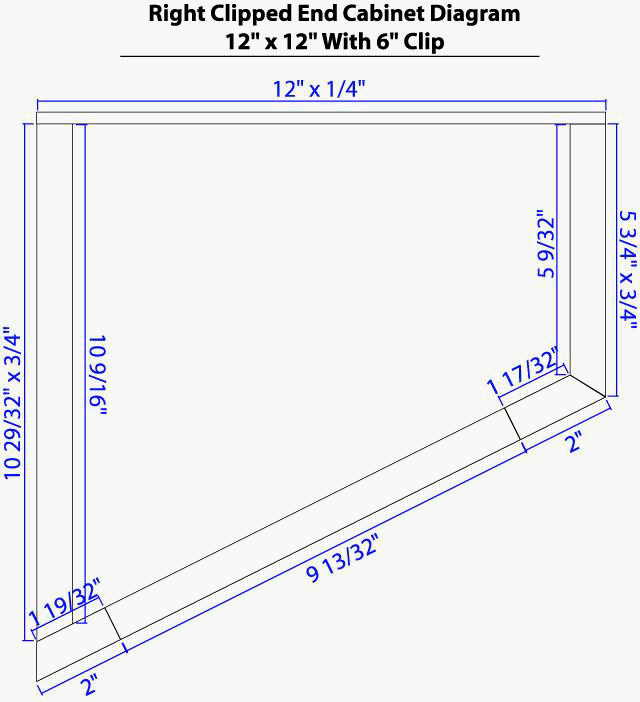 This diagram is made of a 25" x 25" Angle Corner Cabinet with 12" Left and Right Ends. The backs are 1/4" Flush Backs and the End Panels and Face Frame pieces are all 3/4" in thickness. This diagram was built using FAC_FF Standards. 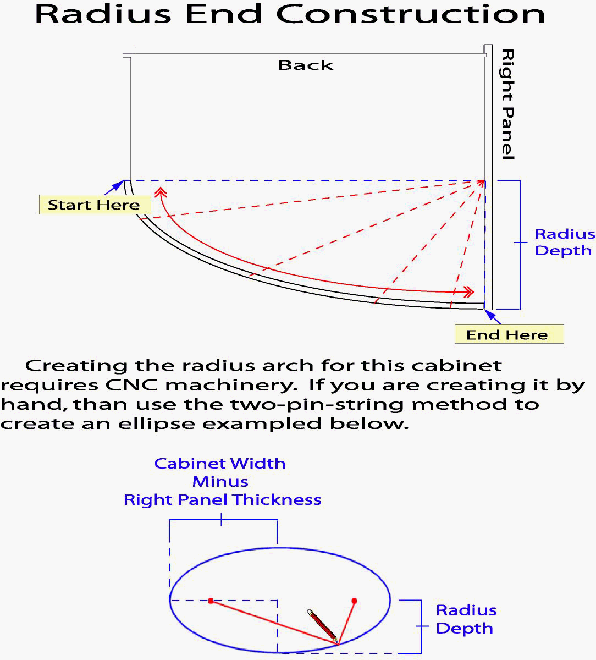 When building clipped end cabinets, you will need to construct your pieces similar to the diagram below. 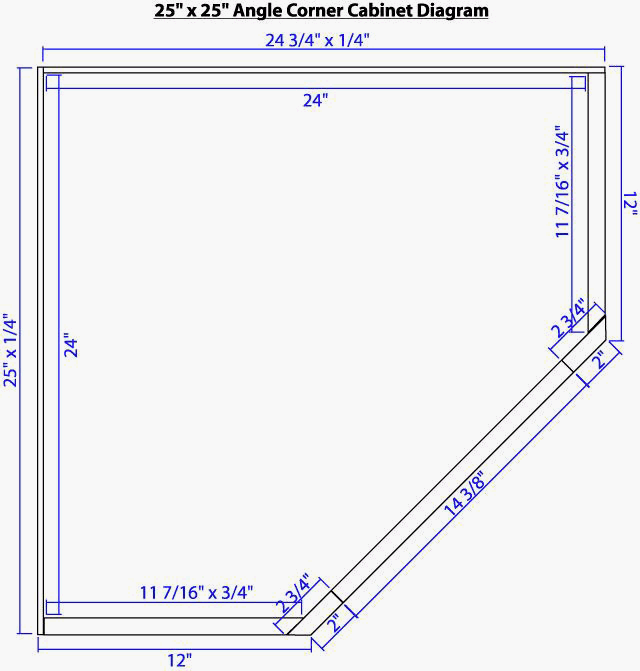 This diagram is made of a 12" x 12" Right Clipped End Cabinet with a 6" or 26.56° Clip. The backs are 1/4" Flush Backs and the End Panels and Face Frame pieces are all 3/4" in thickness. 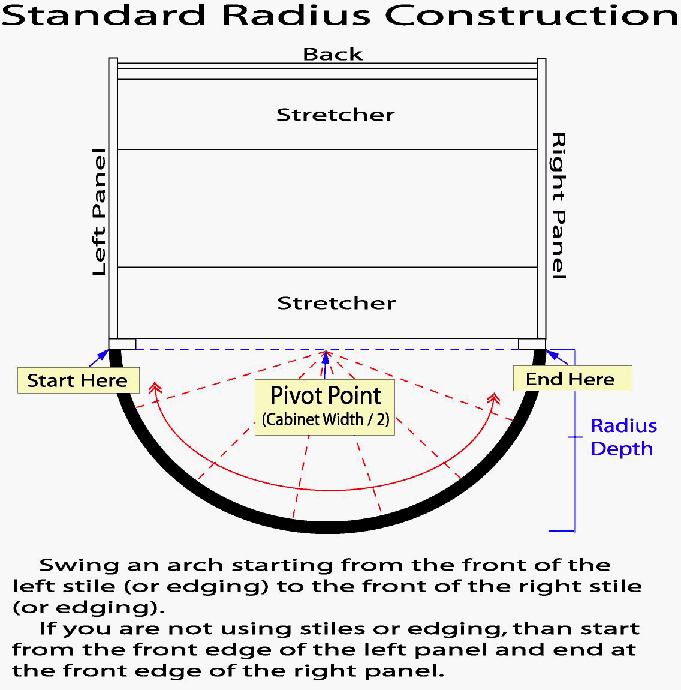 This diagram was built using FAC_FF Standards. 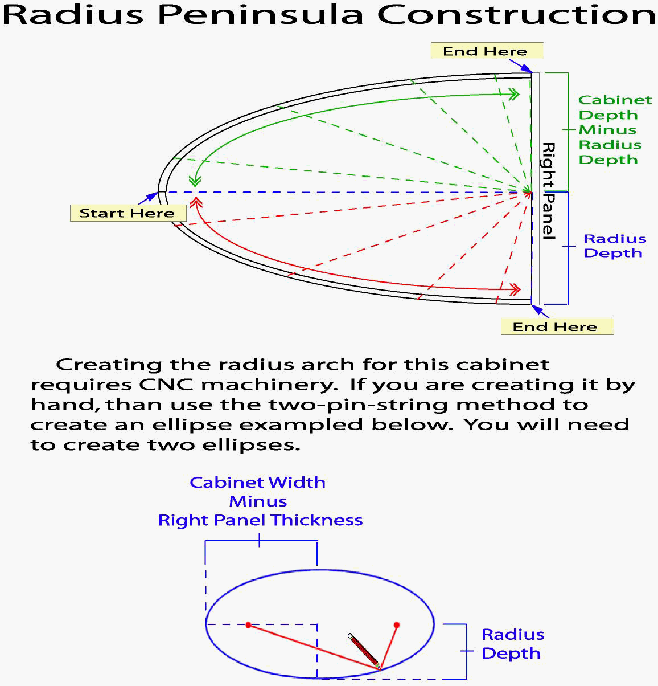 When creating certain radius cabinets, you will need to create an ellipse. Usually, this is done on a CNC machine using complicated equations. However, an easy way to draw an ellipse is by using the two-pin-method using two pins and tying a string to a pencil as shown in the picture below.